As my special delivery for this New Year's Celebration, I want to link here one exciting topic for me dealing with the most ancient human memory of the origin and meaning of the Constellations in the Night Sky! That article describes details of Greek mythology related to the constellation of Perseus, the savior, Cassiopeia, the saved by him, and of Cetus, the defeated monster. Then I bought the magazine Sky and Telescope for January 2006 and in page 54 we have the section “Northern Hemisphere’s Sky” by Fred Schaaf and in p. 59 “Southern Hemisphere’s Sky” by Greg Bryant, being both articles devoted to the study of the constellation of Taurus. The main Ecliptic Chapter, the leading Constellation of this group (Perseus, Cassiopeia and Cetus), is the SIGN of Aries: So, according to the most ancient Constellations' references found by Ethelbert W. Bullinger, the real Hero For The Ages represented by the Ram Aries offering his life for the redemption, and represented by Perseus rescuing Cassiopeia from Cetus, is no more and no less than the Messiah, our Lord and Savior Jesus Christ! And some events related to his first coming. 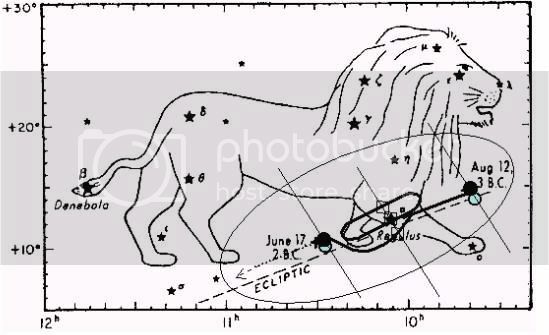 While another Ecliptic Chapter is started by the SIGN of Taurus Including as Taurus' correlated subchapters are the Constellations of Orion (the coming Prince), Eridanus (the river of the judge) and Auriga (the Shepherd). So, Taurus and its related subchapters (Orion, Eridanus and Auriga) represents our Lord and Savior Jesus Christ in events related to his second coming. "These ancient star-pictures reveal this Coming One. They set forth "the sufferings of Christ and the glory that should follow." 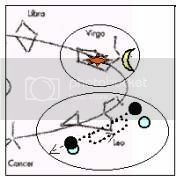 Altogether there are forty-eight of them, made up of twelve SIGNS, each sign containing three CONSTELLATIONS." "… After the Revelation came to be written down in the Scriptures, there was not the same need for the preservation of the Heavenly Volume. And after the nations had lost the original meaning of the pictures, they invented a meaning out of the vain imagination of the thoughts of their hearts. The Greek Mythology is an interpretation of (only some of) the signs and constellations after their true meaning had been forgotten. It is popularly believed that Bible truth is an evolution from, or development of, the ancient religions of the world. But the fact is that they themselves are a corruption and perversion of primitive truth!" Have a Joyful 2006 Enjoying God’s Word! 2005, the penetration of Intelligent Design into pop culture. > "Pickles, simple chance couldn't have created a dandelion." - "Nope, hummingbirds neither, Auggie." > "There has to be an unseen hand of grace and imagination behind everything." - "It's called Intelligent Design." - "Which brings up an existential point... somebody's got some 'splainin' to do." ~ *Snore* (as the two talkin' boys approach the doorstep of their house their old 'daddy' is sleepin' on the couch on his purple housecoat with a cigarette on the left side of his mouth's still, and a beer can at the left side of his head. A drunken thin-garfield cat at his right side is eating a hotdog and a mess of snacks is poured down on the floor, as well as empty drinkin'-cans and hotdog remains). The Lesson: When humans were left to decide by themselves, the original Intelligent Design got messed up! The President George W. Bush, Senators John McCain and Bill Frist, etc. endorsed the teaching of alternatives to evolution like Intelligent Design. Keeping Sternberg's case alive, until its final verdict! "Nobody is more frightened than I am of the religious right getting a stranglehold on our values ("this is the part when we get spanked", declared the defense), it seems, as long as you do it in the name of the Almighty, one is free to abandon not only common sense and science, but also the facts; But I am also concerned about a secular society squeezing faith out of our lives, we all have witnessed the ridiculous lawsuits to stop nativity scenes at Christmas, to take God out of the Pledge of Allegiance. God has always been a part of who and what we are as a Nation. On our currency it reads "In God We Trust", the Declaradion of Independence speaks of God, how we are "created, endowed by Our Creator", being referred as "Our Supreme Judge of the World" and "Divine Providence", GOD! And I'm sorry, anybody who has ever held a new born child in his hands must make room for the chance that a Higher Power exists. It shouldn't offend you, best scientists, to say "Hey, we just don't know". I find the decision to include Intelligent Design along with Evolution into the Science Curriculum does not violate the Establishment Clause of the First Ammendment. I'm ruling in favor of the defendant. This Lawsuit is dismissed." Several states in the U.S.A. already approved the Critical Analysis of Evolution, like Ohio, Kansas, Minnesota, etc. In 2004 Glenn Okada presented his "Intelligent Design" album. Intelligent Design appears in several textbooks including the irony presented by Dr. William A. Dembski that "Okay, ID may be taught — But you [Dr. Bill, and any other ID researcher] don’t get to teach it!" (click there to see the full scanned page of the text). While the Discovery Institute keeps a record of the Media Coverage on TV & Radio Interviews supportive to Intelligent Design in the U.S.A. So, dear Intelligent Design Student, if you live in Dover, PA, Study ID at home or move to another State in the U.S.A. more open-minded and supportive to the Critical Analysis of Evolution. That's the beauty of the U.S.A.! The independence of each State to decide, as well as the independence of each Family and Student to decide what and how to teach themselves and their families! Today, Judge John E. Jones III ruled against the teaching of Intelligent Design. 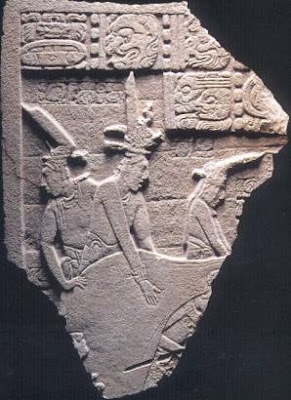 What are those Mayas doing? 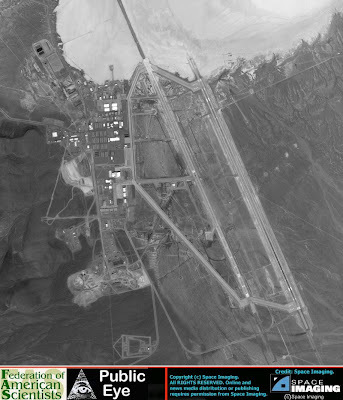 Along with fellow base-watcher Joerg Arnu, Clark began mapping the sensors, using a handheld frequency counter to sniff out their tell-tale radio transmissions, Arnu said in an interview last year. Together they exhumed as many as 40 of the boxes, noted their unique three-digit codes, then reburied and tested them, said Arnu. Clark's adventures near the most famously secret patch of real estate in the world appear to have pulled him beneath the very cloak of secrecy he poked and scratched at for so many years. He has, in a sense, become a part of Area 51. 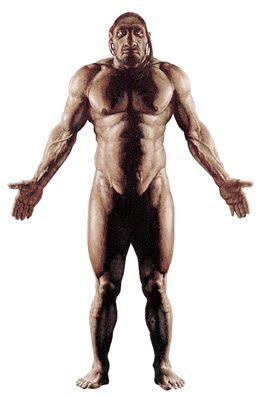 Illustration of Neanderthal Man. Reprinted from Cell, Vol. 90, 1—3, July 11, 1997. 3. Ovchinnikov, et al. "Molecular analysis of Neanderthal DNA from the Northern Caucasus." Nature 404, 490 (2000). 4. “It’s possible that Neanderthals and humans were genetically incompatible, so they could have interbred but their children would have been less fertile,” said Stringer. This phenomenon is seen in many other species such as when lions breed with tigers and horses breed with zebras. Trevors JT, Abel DL. Cell Biol Int. 2004;28(11):729-39. Where and how did the complex genetic instruction set programmed into DNA come into existence? The genetic set may have arisen elsewhere and was transported to the Earth. If not, it arose on the Earth, and became the genetic code in a previous lifeless, physical-chemical world. Even if RNA or DNA were inserted into a lifeless world, they would not contain any genetic instructions unless each nucleotide selection in the sequence was programmed for function. Even then, a predetermined communication system would have had to be in place for any message to be understood at the destination. Transcription and translation would not necessarily have been needed in an RNA world. Ribozymes could have accomplished some of the simpler functions of current protein enzymes. Templating of single RNA strands followed by retemplating back to a sense strand could have occurred. But this process does not explain the derivation of "sense" in any strand. 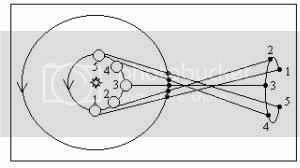 "Sense" means algorithmic function achieved through sequences of certain decision-node switch-settings. These particular primary structures determine secondary and tertiary structures. Each sequence determines minimum-free-energy folding propensities, binding site specificity, and function. Minimal metabolism would be needed for cells to be capable of growth and division. All known metabolism is cybernetic--that is, it is programmatically and algorithmically organized and controlled. "Careful scrutiny of shorebirds around the world suggests that hybridization between Charadriiformes is not quite as exceptional as it was once thought. Here is a listing of know or well justified hybrid combinations. I'd appreciate hearing about other combinations or appropriate articles." "Some times referred to as an 'Avistilt' or 'Stavocet', this is a fairly regular combination." 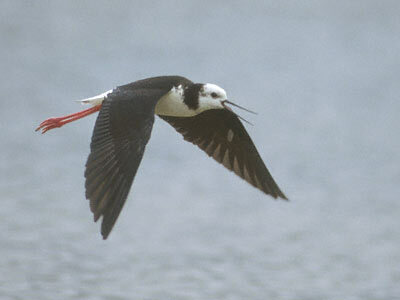 - Principe W. L., Jr. (1977) A hybrid American Avocet x Black-necked Stilt. Condor 79: 128–129. "A relatively common occurrence on the Pacific Coast". 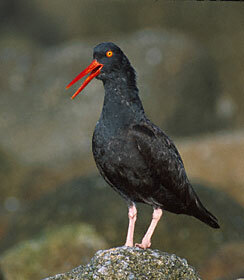 - Jehl, J. R., Jr. (1985) Hybridization and evolution of oystercatchers on the Pacific Coast of Baja California. Neotropical Ornithology, A.O.U. Monograph 36: 484-504. 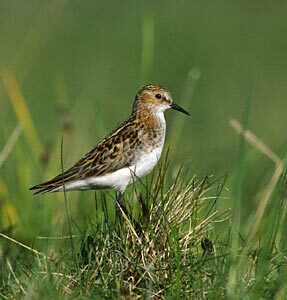 - Jonsson, L. (1996) Mystery stint at Groote Keeten: first known hybrid between Little and Temminck’s Stint? Dutch Birding 18:24-28. 8. Dunlin (Calidris alpina) x White-rumped Sandpiper (Calidris fuscicollis). 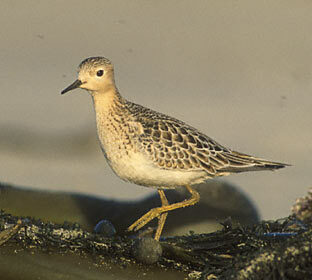 - McLaughlin K. A. , and A. Wormington (2000) An apparent Dunlin x White-rumped Sandpiper hybrid. Ontario Birds 18(1):8-12. 9. 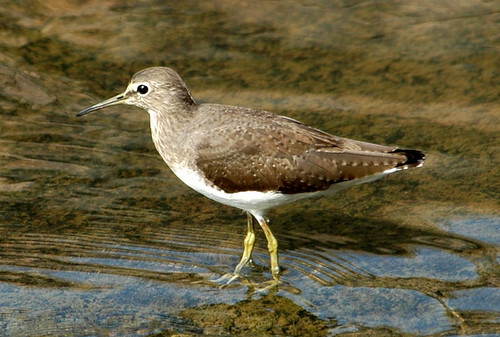 Common Sandpiper (Tringa hypoleucos) x Green Sandpiper (Tringa ochropus). "First described from Australia in 1982. 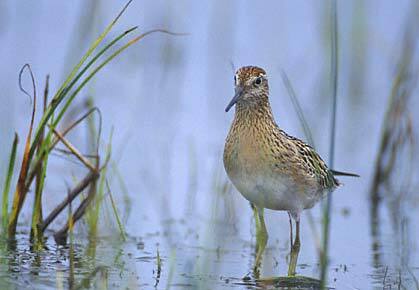 Genetic evidence established that Cox's Sandpiper is not a distinct species, but is a hybrid between Curlew Sandpiper (Calidris ferruginea) and Pectoral Sandpiper (Calidris melanotos)." - Christidis, L., K. Davies, M. Westerman, P. D. Christian, and R. Schodde. 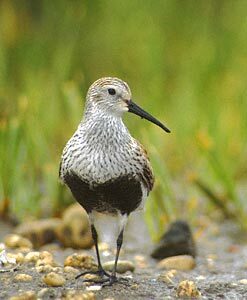 (1996) Molecular assessment of the taxonomic status of Cox's Sandpiper. Condor 98: 459-463. "was described by Baird in 1858 based on a specimen collected on Long Island, New York, U.S.A. in May 1833. A similar bird was collected in Stockton, New South Wales, Australia, in Mar 1981. Evidence suggests this is a Curlew Sandpiper x Sharp-tailed Sandpiper (C. ferruginea x C. acuminata)." - Cox, J. B. 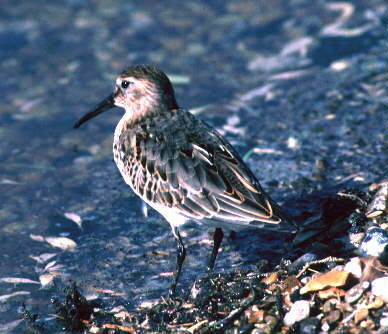 (1990a) The enigmatic Cooper's and Cox's Sandpiper. Dutch Birding 12: 53-64. - Cox, J. B. 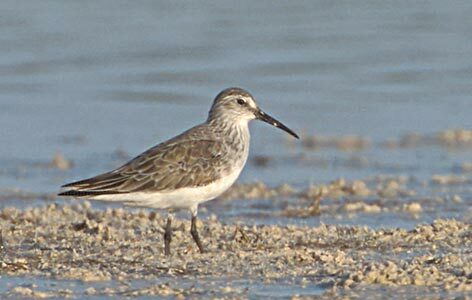 (1990b) The measurements of Cooper's Sandpiper and the occurrence of a similar bird in Australia. South Austral. Orn. 30: 169-181. 12. New Zealand Black Stilt (Himantopus novaezelandiae) x Pied Stilt (Himantopus leucocephalus). 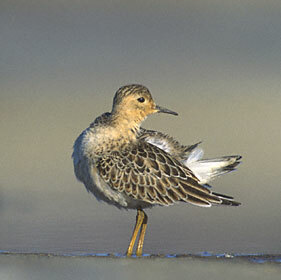 - Paulson, D. Shorebirds of North America. The Photographic Guide. Princeton Univ. Press. 2005, 361 p.
- Angus Wilson. 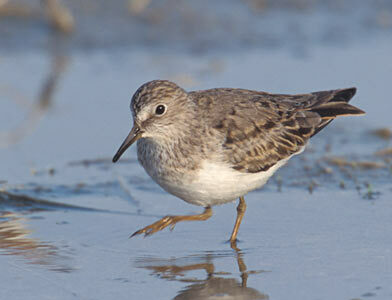 Mystery Calidris Sandpiper from Florida. 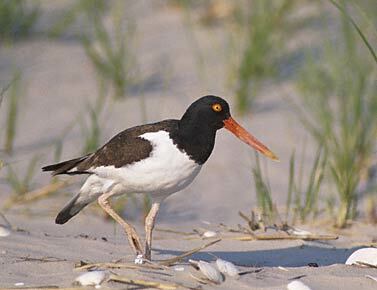 Appendix: Known Shorebird Hybrid Combinations. 2005. By David L. Hagen. Posted at ISCID, 19. December 2005. George Whitesides and Douglas Weibel of Harvard University have attached a polystyrene bead to green algae cell and used a high/low light intensity gradient to direct the cell’s movement. They expect that cells could be harnessed to perform micro-scale mechanical work. See Proc. National Academy of Sciences, 2005 reported by BBC. The Laboratory of Intelligent Systems is designing flying robots using insight from flying insects. Is this evidence that flying insects are examples of design in biochemical systems that provide helpful guidance to Design Engineers? Or does this give evidence that "Intelligent Systems" are a result of random events in a closed system of natural causes? More and interesting postings by the same author. Jonathan Wells; Discovery Institute, Seattle, WA. "The transient increase in intracellular calcium that normally accompanies the onset of anaphase would shut down the dynein-driven centriolar turbines to permit the unobstructed poleward movement of chromosomes. Under conditions of calcium deficiency or defective calcium regulation, however, centrioles could generate an increasing polar ejection force throughout anaphase that would break chromosome arms and produce chromosomal instability." "On December 14, 2005, Wells presented his hypothesis in a poster session at the annual meeting of the American Society for Cell Biology in San Francisco. The abstract is available here, and the poster (in pdf) can be viewed here. Wells is currently preparing to do experiments to test the hypothesis, which if corroborated would shed light on the origin of cancer and could aid in its prevention or early detection. [Source: Jonathan Witt]"
"Critics claim that intelligent design (ID) cannot generate a fruitful scientific research program. Last year, however, Discovery Institute fellow Jonathan Wells outlined how ID could lead to new discoveries in biology and medicine. Earlier this year, Dr. Wells published an article in Rivista di Biologia describing a testable hypothesis that he developed using this outline." Casting Down the Icons of Evolution, Dr. Jonathan Wells Speaks. In the same way that Intelligent Design can be detected in ancient carved stones (like the Maya); Intelligent Design can also be detected in molecules and in living organisms (like in Rhizobium). 4. Siberian Husky / Golden Jackal Cross. Result of a project in Russia, "the ultimate tracker" by mating Siberian Huskies with Golden Jackals. Klim Sulimov reasoned that Jackals have a sense of smell far greater than that of any dogs due to their scavenging lifestyle. However, not only are they unruly and near impossible to train, their short coats would offer no protection against Russian winters, hence the mating program. These hybrids are apparently excellent at identifying luggage containing explosives or drugs. They have yet to be named or recognized as an official dog breed. Only 20 are known to currently exist. Dogote, the result of breeding a male domestic dog with a female Coyote. This particular cross is a German Shepherd / north western Coyote from northern Washington state near the border of B.C. Coydog, the result of breeding any domesticated female dog breeds with a male Coyote. This particular cross is a Coyote / Irish Setter. Coywolf, the result of breeding a Wolf with a Coyote. This particular cross is a Coyote / Red Wolf. Wolfdog, the result of breeding domesticated dogs with wolves. This particular cross is a Gray Wolf / Alaskan Malamute cross. Reich DE, Wayne RK, Goldstein DB. Genetic evidence for a recent origin by hybridization of red wolves. Mol Ecol. 1999 Jan;8(1):139-44. "red wolves (Canis rufus) resulted from a hybridization between coyotes (C. latrans) and grey wolves (C. lupus)"
8. "Deforestation and loss of habitat allowed coyotes to move eastward and began to interbreed with the red wolf"
9. "Ethiopian wolves and golden jackals are the most distant relatives to Canis lupus (which include dogs, New Guinea singing dogs, dingoes, and wolves) with which it can interbreed and produce fertile offspring". 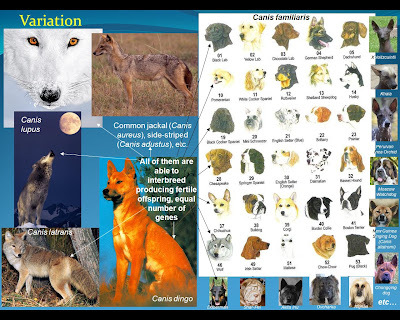 Conclusion: All the Canis, i.e., wolves, jackals, dingoes, coyotes, etc., can all interbreed with the domestic dog and produce fertile offspring. Being then all of them just varieties of the same kind of animal. Is this a new knowledge? No. Henry Alleyne Nicholson. A manual of zoology for the use of students. With a general introduction on the principles of zoology. 1844-1899. Second edition revised and considerably enlarged. New York, D. Appleton and Co., 1876. "It is worth while remembering, however, all our varieties of dogs are capable of interbreeding; and there is a strong probability that the Wolf is the parent stock of at least some of our domestic breeds. The Dog, in fact, will interbreed with both the Wolf [Canis lupus] and the Jackal [Canis aureus]"
The Globe Encyclopaedia of Universal Information. Edited by John M. Ross. 6 v. Boston, Estes & Lauriat, 1876-79. It is very sad that since those days of Darwin's books (XIX Century), "naturalists are by no means clear among themselves... as to what characters constitute a true "species", and what are those of a mere "variety" "
This specific truth of genetic compatibility "is not convenient" for 'the theory of evolution'. So, as far as evolutionists and darwinists (in reality, atheists, the "God-rejectors") still sit at the throne of "scientific authority", nothing will change or improve in this, My Lord's ID field of Mendelian Biodiversity, being 'the barren queen' of 'speciation' the mistress of that illusory and amnesic 'evolution'. 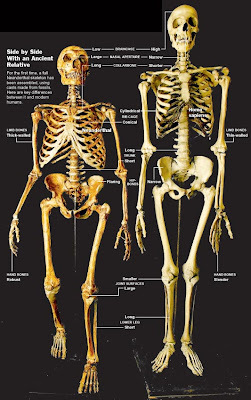 Can this Blog Universe and the Internet together with Intelligent Design and the Discovery Institute in the U.S.A., debunk once and for all the darkness within Biology, I mean, Evolution and the fallacies and falsehoods of Darwinism? That will be a very good day for the real science and for the freedom and progress in science, which today lays attached to the ancestral log of Darkness by the leash of Evolution and of Darwin. "...when European explorers in the 18th and 19th centuries finally mapped the world, they found dogs wherever people existed... While most of the Amerind dogs have become extinct, some still remain. These breeds could have interbred with the coyote, C. latrans. Also, new dog populations may still be discovered in the Old World, as in the case of the Malaysian Telomian dog discovered by Elliot in 1965 [JP Scott, OS Elliot, A. Traftner, J. Kirchenbaum, Carnivore Genet. Newsl. 3, 45 (1967)]" "...all species in the genus Canis can interbreed...". Time after time I have seen that 'varieties' are been deliberately confounded with 'species' to sell the tale of evolutionism, and the same can be said of thousands and thousands of other organisms. At least now the seekers of truth are opening their eyes while freely reading this lines! "The chupacabra (chupacabras, "goat sucker", in Spanish) is a mysterious predator first reported in Puerto Rico in the 1970s (1975) and now supposedly active throughout South and Central America, Northward into Mexico, and parts of the United States. Between 1996 and 2008, attacks by the same or a similar creature were also reported in Spain, Portugal, Russia, and the Philippines... named for its habit of drinking blood from livestock and other domestic animals.... At least in the United States, those examined by experts have been identified as dogs or coyotes suffering from mange (a skin condition causing painful rash and loss of hair)... returned for more raids in 1991... police blamed the damage on dogs... In November 1995, attacks began in Guatemala... one witness compared it to a large black dog... in September 1996, draining blood from Portuguese sheep through single puncture wounds in their necks. A biologist blamed the attacks on "an extremely intelligent and experienced wolf," which apparently had only one fang in its mouth... Another supposed chupacabra was shot in Nicaragua, after killing 70 goats and sheep in August 2000... Oddly, the official report - delayed until January 2002 - declared: "This is a common dog..." In July 2004, a Texas rancher shot a hairless, dog-like creature that attacked his livestock. Although touted as chupacabra, it proved to be a coyote with mange. Two more mangy coyotes were trapped in the same area in October 2004. Three more similar coyotes were found in August 2007, at Cuero, Texas, where farmers reported chickens drained of blood over the past 12 months... in January 2008, farmers in the Philippine province of Capiz, on Panay Island, claimed that the chupacabra had attacked their chickens. The elusive beast was described as resembling a dog... Published theories include: Known predators, including feral dogs, coyotes, wolves... The obvious drawback is that none of these animals simply drink blood without eating their prey." Photo in the News: New Mammal Discovered in Borneo? See also: Camera Captures Image of Mysterious Creature in Borneo. Dec 07, 2005. "The animals, with characteristics of both gorillas and chimpanzees, have been sighted in the north of the Democratic Republic of Congo." New Monkey Species Discovered in East Africa, see also New Species Of Monkey Discovered In Tanzania: The First In Africa For More Than 20 Years. New Primate Discovered In Mountain Forests Of Tanzania. Two New Monkey Species Discovered; Primates Found In Brazil's Amazon Rain Forest. African Predator Rediscovered In Tanzania; After A 70 Year Absence, A Rare Animal Is Photographed. Scientists Discover Odd-ball Rodent -- Is It A Squirrel? A Rat? A Guinea Pig? Try None Of The Above. From the last article: "...the ivory-billed woodpecker will not be the only U.S. species recently returned from oblivion. In May, just a few days after the ivory-bill news, the Nature Conservancy announced the discovery in Alabama of three snails listed as extinct. A few weeks later, botanists at the University of California at Berkeley reported finding the Mount Diablo buckwheat, a tiny pink-flowered plant that had not been seen since 1936. At least 24 species of other presumed or possibly extinct plants, insects and other organisms have been found during natural heritage surveys in North America since 1974, according to Mark Schaefer, president of NatureServe, a nonprofit conservation group based in Arlington, Va. With so many "extinct" creatures reappearing, it is reasonable to wonder if the word has lost its meaning." A Search for All Species. Tracking down every form of life in the Great Smoky Mountains. Important Pathogens And Cures Belong To Little-Known Group Of Fungi; Research Points Way To Discovering Other Agents. Microbe From Depths Takes Life To Hottest Known Limit -- Researchers Find Iron-reducing Archaeon ‘Strain 121’. See also: Life In The Inferno: Researchers Identify Factors That Determine Where Microorganisms Can Survive In The Hellish World Deep Underground. Genomic Tools Reveal New Microbial Phototrophs In The Ocean. See also: Microbe's Genome Reveals Insights Into Ocean Ecology. Extreme Life Discovery In Yellowstone Bodes Well For Astrobiologists. See also: Scientist Searches Yellowstone Park For Carbon Dioxide-Eating Microbe. "Whether microbes--the little guys of the planet--belong to one big gene pool or to numerous smaller, discrete ones doesn't sound like the stuff of controversy..."
Whether microbes--the little guys of the planet--belong to one big gene pool or to numerous smaller, discrete ones doesn't sound like the stuff of controversy. "seeking to design more efficient catalysts for the production of hydrogen and the control of air pollutants might do well to take a closer look at how chemistry works in nature, scientists at the U.S. Department of Energy’s Brookhaven National Laboratory say." New Protein Discovery May Have Implications For Treating Deadly E. Coli Infection. Scientists Discover New Cellular Structures. "GW bodies" seem to be key to gene regulation. Not Just a Nice Idea, Preserving Biodiversity Is a Necessity. Intelligent Design offers the opportunity to preserve organisms by producing new biodiversity according to the plan of genetic compatibility, which is the interbreeding of compatible organisms (inter-fertile varieties currently misclassified as "different species" by the apostles of evolution and of "speciation"). By stressing the emphasis in the new organisms discovered, Intelligent Design is in sharp contrast with the yellow-tinted "competition and extinction - endangered and struggling for the survival of the fittest" colors of the current biology dominated by evolution and by neoDarwinism. Stephen C. Meyer. The Origin of Biological Information and the Higher Taxonomic Categories. Proceedings of the Biological Society of Washington (volume 117, no. 2, pp. 213-239). "...neo-Darwinism affirms that new functional sections of the genome arise by trial and error process of mutation and subsequent selection. For this reason, historically many neo-Darwinists expected or predicted that the large non-coding regions of the genome--so-called “junk DNA”--would lack function altogether (Orgel, L. E., & F. H. Crick. 1980. Selfish DNA: the ultimate parasite. Nature 284:604-607.). On this line of thinking, the nonfunctional sections of the genome represent nature's failed experiments that remain in the genome as a kind of artifact of the past activity of the mutation and selection process. Advocates of the design hypotheses on the other hand, would have predicted that non-coding regions of the genome might well reveal hidden functions, not only because design theorists do not think that new genetic information arises by a trial and error process of mutation and selection, but also because designed systems are often functionally polyvalent." "...like meaningful sentences or lines of computer code, genes and proteins are also specified with respect to function. Just as the meaning of a sentence depends upon the specific arrangement of the letters in a sentence, so too does the function of a gene sequence depend upon the specific arrangement of the nucleotide bases in a gene. Thus, molecular biologists beginning with Crick equated information not only with complexity but also with “specificity,” where “specificity” or “specified” has meant “necessary to function” [As Crick put it, “information means here the precise determination of sequence, either of bases in the nucleic acid or on amino acid residues in the protein”: Crick, F. 1958. On protein synthesis.--Symposium for the Society of Experimental Biology. 12(1958):138-163 (p. 144 & 153); Sarkar, S. 1996. Biological information: a skeptical look at some central dogmas of molecular biology. Pp. 187-233 in S. Sarkar, ed., The philosophy and history of molecular biology: new perspectives. Kluwer Academic Publishers, Dordrecht (p. 191)]"
"...if one understands organismal form as resulting from constraints on the possible arrangements of matter at many levels in the biological hierarchy--from genes and proteins to cell types and tissues to organs and body plans--then clearly biological organisms exhibit many levels of information-rich structure." "...an increase in the number of cell types implies (at a minimum) a considerable increase in the amount of specified genetic information." "...alterations in sequencing would likely result in loss of protein function before fundamentally new function could arise (Eden, M. 1967. The inadequacies of neo-Darwinian evolution as a scientific theory. Pp. 5-12 in P. S. Morehead and M. M. Kaplan, eds., Mathematical challenges to the Darwinian interpretation of evolution. Wistar Institute Symposium Monograph, Allen R. Liss, New York; Denton, M. 1986. Evolution: a theory in crisis. Adler & Adler, London, United Kingdom). Nevertheless, neither the extent to which genes and proteins are sensitive to functional loss as a result of sequence change, nor the extent to which functional proteins are isolated within sequence space, has been fully known"
"Dawkins R. (1996. Climbing Mount Improbable. W. W. Norton & Company, New York. ), for example, likens an organism to a high mountain peak. He compares climbing the sheer precipice up the front side of the mountain to building a new organism by chance. He acknowledges that his approach up “Mount Improbable” will not succeed." "...recent protein studies (often using mutagenesis experiments) have shown that functional requirements place significant constraints on sequencing even at non-active site positions (Bowie, J., & R. Sauer. 1989. Identifying determinants of folding and activity for a protein of unknown sequences: tolerance to amino acid substitution.--Proceedings of the National Academy of Sciences, U.S.A. 86:2152-2156; Reidhaar-Olson, J., & R. Sauer. 1990. Functionally acceptable solutions in two alpha-helical regions of lambda repressor.--Proteins, Structure, Function, and Genetics, 7:306-316; Chothia, C., I. Gelfland, & A. Kister. 1998. Structural determinants in the sequences of immunoglobulin variable domain.--Journal of Molecular Biology 278:457-479; Axe, D. D. 2000. Extreme functional sensitivity to conservative amino acid changes on enzyme exteriors.--Journal of Molecular Biology 301(3):585-596; Taylor, S. V., K. U. Walter, P. Kast, & D. Hilvert. 2001. Searching sequence space for protein catalysts.--Proceedings of the National Academy of Sciences, U.S.A. 98:10596-10601)." "In particular, Axe (2000) has shown that multiple as opposed to single position amino acid substitutions inevitably result in loss of protein function, even when these changes occur at sites that allow variation when altered in isolation. Cumulatively, these constraints imply that proteins are highly sensitive to functional loss as a result of alterations in sequencing, and that functional proteins represent highly isolated and improbable arrangements of amino acids -arrangements that are far more improbable, in fact, than would be likely to arise by chance alone in the time available (Reidhaar-Olson & Sauer 1990; Behe, M. 1992. Experimental support for regarding functional classes of proteins to be highly isolated from each other. Pp. 60-71 in J. Buell and V. Hearn, eds., Darwinism: science or philosophy? Foundation for Thought and Ethics, Richardson, Texas; Kauffman, S. 1995. At home in the universe. Oxford University Press, Oxford, United Kingdom (p. 44); Dembski, W. A. 1998. The design inference. Cambridge University Press, Cambridge, United Kingdom (175-223); Axe 2000, Axe D.D. Estimating the prevalence of protein sequences adopting functional enzyme folds. J Mol Biol. 2004 Aug 27;341(5):1295-315)." "...mutagenesis experiments cast doubt on each of the two scenarios by which neo-Darwinists envisioned new information arising from the mutation/selection mechanism (for review, see Lonnig, W. E. 2001. Natural selection. Pp. 1008-1016 in W. E. Craighead and C. B. Nemeroff, eds., The Corsini encyclopedia of psychology and behavioral sciences, 3rd edition, vol. 3. John Wiley & Sons, New York.) For neo-Darwinism, new functional genes either arise from non-coding sections in the genome or from preexisting genes. Both scenarios are problematic." "...to turn one protein into another with a completely novel structure and function requires specified changes at many sites. Indeed, the number of changes necessary to produce a new protein greatly exceeds the number of changes that will typically produce functional losses. Given this, the probability of escaping total functional loss during a random search for the changes needed to produce a new function is extremely small--and this probability diminishes exponentially with each additional requisite change (Axe 2000)." "...lethal disadvantage: any process of random mutation or rearrangement in the genome would in all probability generate nonfunctional intermediate sequences before fundamentally new functional genes or proteins would arise"
"If an engineer modifies the length of the piston rods in an internal combustion engine without modifying the crankshaft accordingly, the engine won't start. Similarly, processes of development are tightly integrated spatially and temporally such that changes early in development will require a host of other coordinated changes in separate but functionally interrelated developmental processes downstream." "This problem has led to what McDonald (McDonald, J. F. 1983. The molecular basis of adaptation: a critical review of relevant ideas and observations.--Annual Review of Ecology and Systematics 14:77-102) has called “a great Darwinian paradox” (p. 93). McDonald notes that genes that are observed to vary within natural populations do not lead to major adaptive changes, while genes that could cause major changes--the very stuff of macroevolution--apparently do not vary. In other words, mutations of the kind that macroevolution doesn't need (namely, viable genetic mutations in DNA expressed late in development) do occur, but those that it does need (namely, beneficial body plan mutations expressed early in development) apparently don't occur." "DNA alone does not determine how individual proteins assemble themselves into larger systems of proteins; still less does it solely determine how cell types, tissue types, and organs arrange themselves into body plans (Harold, F. M. 1995. From morphogenes to morphogenesis.--Microbiology 141:2765-2778 (p. 2774); Moss, L. 2004. What genes can't do. The M.I.T. Press, Cambridge, Massachusetts). Instead, other factors--such as the three-dimensional structure and organization of the cell membrane and cytoskeleton and the spatial architecture of the fertilized egg--play important roles in determining body plan formation during embryogenesis." "...it is not possible to predict the structure of the cytoskeleton of the cell from the characteristics of the protein constituents that form that structure (Harold, F. M. 2001. The way of the cell: molecules, organisms, and the order of life. Oxford University Press, New York (p. 125)." "Two analogies may help further clarify the point. At a building site, builders will make use of many materials: lumber, wires, nails, drywall, piping, and windows. Yet building materials do not determine the floor plan of the house, or the arrangement of houses in a neighborhood. Similarly, electronic circuits are composed of many components, such as resistors, capacitors, and transistors. But such lower-level components do not determine their own arrangement in an integrated circuit." "Biological symptoms also depend on hierarchical arrangements of parts. Genes and proteins are made from simple building blocks--nucleotide bases and amino acids--arranged in specific ways. Cell types are made of, among other things, systems of specialized proteins. Organs are made of specialized arrangements of cell types and tissues. And body plans comprise specific arrangements of specialized organs. Yet, clearly, the properties of individual proteins (or, indeed, the lower-level parts in the hierarchy generally) do not fully determine the organization of the higher-level structures and organizational patterns (Harold 2001:125). It follows that the genetic information that codes for proteins does not determine these higher-level structures either." "...the mechanism of natural selection acting on random mutations in DNA cannot in principle generate novel body plans". "...centrosome structure and membrane patterns as a whole convey three-dimensional structural information that helps determine the structure of the cytoskeleton and the location of its subunits [McNiven, M. A. & K. R. Porter. 1992. The centrosome: contributions to cell form. Pp. 313-329 in V. I. Kalnins, ed., The centrosome. Academic Press, San Diego (p. 313-329)]." "In ciliates, microsurgery on cell membranes can produce heritable changes in membrane patterns, even though the DNA of the ciliates has not been altered [Sonneborn, T. M. 1970. Determination, development, and inheritance of the structure of the cell cortex. In Symposia of the International Society for Cell Biology 9:1-13; Frankel, J. 1980. Propagation of cortical differences in tetrahymena.--Genetics 94:607-623; Nanney, D. L. 1983. The ciliates and the cytoplasm.--Journal of Heredity, 74:163-170]. This suggests that membrane patterns (as opposed to membrane constituents) are impressed directly on daughter cells. In both cases, form is transmitted from parent three-dimensional structures to daughter three-dimensional structures directly and is not wholly contained in constituent proteins or genetic information (Moss, L. 2004. What genes can't do. The M.I.T. Press, Cambridge, Massachusetts.)" "Cellular structures are built from proteins, but proteins find their way to correct locations in part because of preexisting three-dimensional patterns and organization inherent in cellular structures." "...this necessary tuning involves an intelligent programmer selecting certain parameters and excluding others--that is, inputting information"
"[Kauffman] concludes that body plans, once established, will not change"
"...the fossil record does show a curious (from a neo-Darwinian point of view) top-down pattern of appearance, in which higher taxa (and the body plans they represent) appear first, only later to be followed by the multiplication of lower taxa representing variations within those original body designs [Erwin, D. H. & J. J. Sepkoski. 1987. A comparative study of diversification events: the early Paleozoic versus the Mesozoic.--Evolution 41:1177-1186; Lewin, R. 1988. 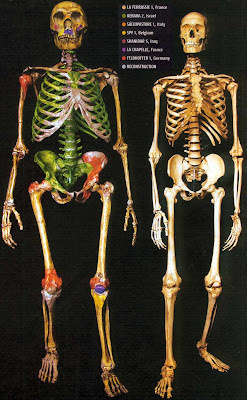 A lopsided look at evolution.--Science 241:292; Valentine, J. W. & D. Jablonski. 2003. Morphological and developmental macroevolution: a paleontological perspective.--International Journal of Developmental Biology 47:517-522 (p. 518)]. 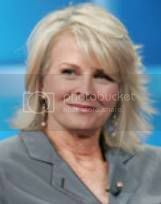 Further, as Kauffman expects, body plans appear suddenly and persist without significant modification over time." "Kauffman acknowledges that mutations that occur early in development are almost inevitably deleterious." "...the kind of form that physical laws produce is not analogous to biological form--at least not when compared from the standpoint of (algorithmic) complexity." "Further, physical laws lack the information content to specify biology systems. As Polyanyi (Polanyi, M. 1967. Life transcending physics and chemistry.--Chemical and Engineering News, 45(35):54-66; 1968. Polanyi, M. Life's irreducible structure.--Science 160:1308-1312, especially p. 1309) and Yockey [Yockey, H. P. 1992. Information theory and molecular biology, Cambridge University Press, Cambridge, United Kingdom (p. 290)] have shown, the laws of physics and chemistry allow, but do not determine, distinctively biological modes of organization. In other words, living systems are consistent with, but not deducible, from physical-chemical laws (Yockey 1992:290)." "...distinctively biological regularities depend upon preexisting biological information. Thus, appeals to higher-level biological laws presuppose, but do not explain, the origination of the information necessary to morphogenesis." "Budd and Jensen (Cladism) do not explain what causes the origination of biological form and information", because they simply concluded: "the alleged phenomenon of the phyla appearing early and remaining morphologically static is not seen to require particular explanation” [Budd, G. E. & S. E. Jensen. 2000. A critical reappraisal of the fossil record of the bilaterial phyla.--Biological Reviews of the Cambridge Philosophical Society 75:253-295 (p. 253)]. Conway Morris himself intimates that all of this has been “underpinned by a purpose” [Conway Morris, S. 2000. Evolution: bringing molecules into the fold.--Cell 100:1-11 (p. 8); Conway Morris, S. 2003b. Cambrian “explosion” of metazoans and molecular biology: would Darwin be satisfied?--International Journal of Developmental Biology 47(7-8):505-515 (p. 511)]"
"Could the notion of purposive design help provide a more adequate explanation for the origin of organismal form generally? Are there reasons to consider design as an explanation for the origin of the biological information necessary to produce the higher taxa and their corresponding morphological novelty?" "...scientists and philosophers of science have considered teleological explanations for the origin of form and information despite strong methodological prohibitions against design as a scientific hypothesis [Gillespie, N. C. 1979. Charles Darwin and the problem of creation. University of Chicago Press, Chicago; Lenior, T. 1982. The strategy of life. University of Chicago Press, Chicago (p. 4)]"
"Neo-Darwinists such as Ayala [Ayala, F. 1994. Darwin's revolution. Pp. 1-17 in J. Campbell and J. Schopf, eds., Creative evolution?! Jones and Bartlett Publishers, Boston, Massachusetts (p. 5)], Dawkins [Dawkins, R. 1986. The blind watchmaker. Penguin Books, London, United Kingdom (p. 1)], Mayr [Mayr, E. 1982. Foreword. Pp. xi-xii in M. Ruse, Darwinism defended. Pearson Addison Wesley, Boston, Massachusetts (pp. xi-xii)] and Lewontin (Lewontin, R. 1978. Adaptation. Pp. 113-125 in Evolution: a Scientific American book. W. H. Freeman & Company, San Francisco) have long acknowledged that organisms appear to have been designed. Of course, neo-Darwinists assert that what Ayala (1994:5) calls the “obvious design” of living things is only apparent since the selection/mutation mechanism can explain the origin of complex form and organization in living systems without an appeal to a designing agent. Indeed, neo-Darwinists affirm that mutation and selection--and perhaps other similarly undirected mechanisms--are fully sufficient to explain the appearance of design in biology. Self-organizational theorists and punctuationalists modify this claim, but affirm its essential tenet. Self-organization theorists argue that natural selection acting on self organizing order can explain the complexity of living things--again, without any appeal to design. Punctuationalists similarly envision natural selection acting on newly arising species with no actual design involved"
"...this review has argued that neo-Darwinism does not adequately account for the origin of all appearances of design, especially if one considers animal body plans, and the information necessary to construct them, as especially striking examples of the appearance of design in living systems. Indeed, Dawkins [Dawkins, R. 1995. River out of Eden. Basic Books, New York (p. 11)] and Gates [Gates, B. 1996. The road ahead. Blue Penguin, Boulder, Colorado (p. 228)] have noted that genetic information bears an uncanny resemblance to computer software or machine code." "...could the emergence of novel information-rich genes, proteins, cell types and body plans have resulted from actual design, rather than a purposeless process that merely mimics the powers of a designing intelligence?" "This review, and much of the literature it has surveyed, suggests that four of the most prominent models for explaining the origin of biological form fail to provide adequate causal explanations for the discontinuous increases of CSI (“complex specified information”) that are required to produce novel morphologies. Yet, we have repeated experience of rational and conscious agents--in particular ourselves--generating or causing increases in complex specified information, both in the form of sequence-specific lines of code and in the form of hierarchically arranged systems of parts." "A computer user who traces the information on a screen back to its source invariably comes to a mind--that of a software engineer or programmer. The information in a book or inscriptions ultimately derives from a writer or scribe--from a mental, rather than a strictly material, cause. Our experience-based knowledge of information-flow confirms that systems with large amounts of specified complexity (especially codes and languages) invariably originate from an intelligent source from a mind or personal agent." "...the highly specified hierarchical arrangements of parts in animal body plans also suggest design, again because of our experience of the kinds of features and systems that designers can and do produce. At every level of the biological hierarchy, organisms require specified and highly improbable arrangements of lower-level constituents in order to maintain their form and function"
"Genes require specified arrangements of nucleotide bases; proteins require specified arrangements of amino acids; new cell types require specified arrangements of systems of proteins; body plans require specialized arrangements of cell types and organs. Organisms not only contain information-rich components (such as proteins and genes), but they comprise information-rich arrangements of those components and the systems that comprise them." "As Berlinski (Berlinski, D. 2000. “On assessing genetic algorithms.” Public lecture. Conference: Science and evidence of design in the universe. Yale University, November 4, 2000) has argued, genetic algorithms need something akin to a “forward looking memory” in order to succeed." "
"...we know, based on our present experience of cause and effect relationships, that design engineers--possessing purposive intelligence and rationality--have the ability to produce information-rich hierarchies in which both individual modules and the arrangements of those modules exhibit complexity and specificity--information so defined. Individual transistors, resistors, and capacitors exhibit considerable complexity and specificity of design; at a higher level of organization, their specific arrangement within an integrated circuit represents additional information and reflects further design." "Conscious and rational agents have, as part of their powers of purposive intelligence, the capacity to design information-rich parts and to organize those parts into functional information-rich systems and hierarchies." "Clearly, we have good reason to doubt that mutation and selection, self-organizational processes or laws of nature, can produce the information-rich components, systems, and body plans necessary to explain the origination of morphological novelty"
"What natural selection lacks, intelligent selection--purposive or goal-directed design--provides." "...the construction of complex technological objects and products, such as bridges, circuit boards, engines and software, result from the application of goal-directed constraints (Polanyi 1967, 1968). Indeed, in all functionally integrated complex systems where the cause is known by experience or observation, design engineers or other intelligent agents applied boundary constraints to limit possibilities in order to produce improbable forms, sequences or structures." "Analysis of the problem of the origin of biological information, therefore, exposes a deficiency in the causal powers of natural selection that corresponds precisely to powers that agents are uniquely known to possess. Intelligent agents have foresight. Such agents can select functional goals before they exist. They can devise or select material means to accomplish those ends from among an array of possibilities and then actualize those goals in accord with a preconceived design plan or set of functional requirements. Rational agents can constrain combinatorial space with distant outcomes in mind. The causal powers that natural selection lacks--almost by definition--are associated with the attributes of consciousness and rationality--with purposive intelligence. Thus, by invoking design to explain the origin of new biological information, contemporary design theorists are not positing an arbitrary explanatory element unmotivated by a consideration of the evidence. Instead, they are positing an entity possessing precisely the attributes and causal powers that the phenomenon in question requires as a condition of its production and explanation." "For this reason, recent scientific interest in the design hypothesis is unlikely to abate as biologists continue to wrestle with the problem of the origination of biological form and the higher taxa." Dr. Stephen Meyer explains the basics of intelligent design theory in an engaging interview with Tavis Smiley. We recommend this interview for those who want to understand the basics of ID in a few minutes. The theory of "intelligent design," which posits that the universe must have been created according to a plan, has become increasingly controversial. Biologist Richard Sternberg, who edited a scientific journal, published an article defending the theory. Dr. Sternberg told The Factor what happened next. "A number of outside groups demanded my ouster. Apparently there is an unstated rule that you don't accept a manuscript that counters Darwinism and I had committed the terrible sin of allowing this to be published. It's an attempt to suppress dissent, and it's politically and religiously motivated." The Factor asserted that some scientists are eager to quash unpopular opinions. "This is a concerted effort in a fascist way to punish anyone who might want to inject a 'higher power' into any scientific discussion."